Steel King Construction LLC has the experience and expertise to install any commercial roofing system you may need. Don’t put your business at risk by neglecting the roof of your commercial building. Whether it’s your equipment, product, or employees, a roof leak or other failure can be costly in terms of time and money to your business. Call Steel King Construction at (907) 202-9241 for a roof inspection and estimate of any damage, leaks, or just to assess the overall condition of your roof. ​We also provide preventative maintenance and repairs of small issues before they become more expensive problems. This can extend the life of your roof overall as well as give you plenty of time to plan for any major repairs or replacements in the future. Steel King is your choice for the commercial roofer Anchorage and all of Alaska can trust. Our commitment to excellence touches every aspect of our work. From safety to customer satisfaction, Steel King will surpass your expectation of what a commercial roofer should be. Put our decades of commercial roofing experience at your service by giving us a call to schedule a Free roofing consultation. We will come to your business, or planning room if new construction, and have a conversation about what the best options are for style and materials of roofing. There are many options these days including Metal Roofing (steel, aluminum, copper, and zinc alloy), Single Ply Systems (EPDM, TPO, PVC), Modified Bitumen, and the list goes on. We will lay out the benefits and drawbacks of each type and give our best recommendation based on years of experience and knowledge of best industry practices. You can be sure you will have the information to make the best decision about protecting the investment of your place of business. Our goal is to provide a great experience start to finish. That means quality in our service and responsiveness as well as quality in our roofing product and roof installation. We are constantly building our reputation as the best roofer in Anchorage and all of Alaska, a reputation that you can count on. We don’t cut corners in our work because we install every roof like it was going on our own home. 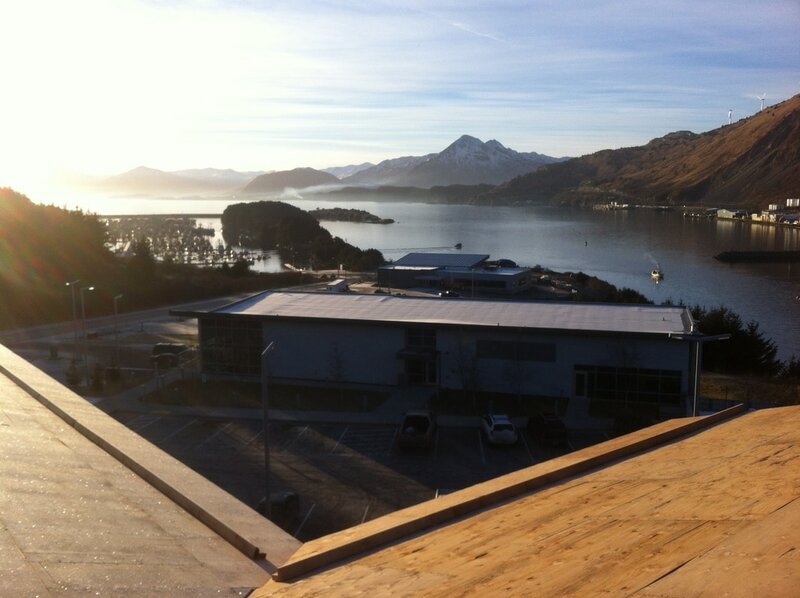 We want to remind you of an important aspect of commercial roofing in Alaska- Maintenance. A commercial building roof is a major and very important investment. To fully realize the best return on that investment we highly recommend putting in place a comprehensive roof maintenance plan. All too often this a neglected point of a new roof installation. By being proactive with roof inspections and repairs you can dramatically lower your overall cost and extend the life of your roof. ​Proactively maintained roofs may see maintenance costs decrease over 50% with life span increases of 60% compared to roofs that are not regularly maintained. 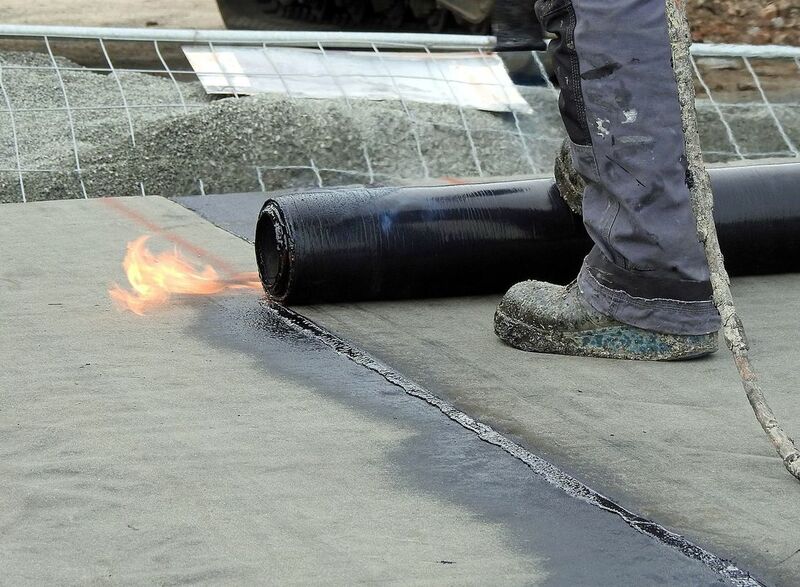 We at Steel King Construction are well versed in all the nuances of commercial roofing and can spot problems before they require costly repairs.